India's rapid-fire attempts to stem the fast depreciating rupee through 5 rounds of higher import tariffs and anti-dumping restrictions since the beginning of this year don't seem to have delivered. The rupee is rapidly hurtling towards the 75 mark against the dollar. 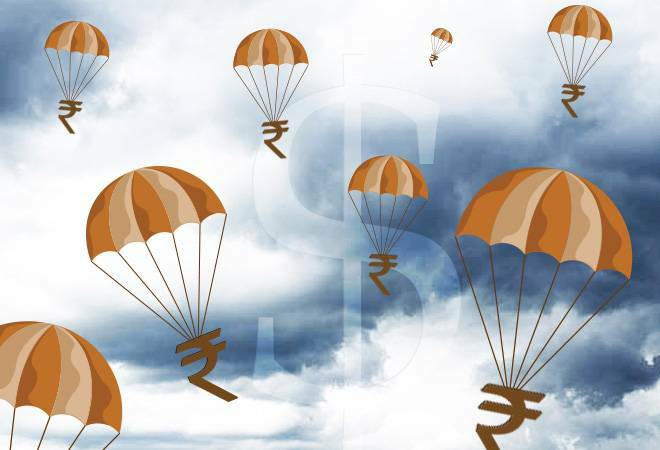 Far from its economic rationale, a falling rupee is often seen as a dent on national pride. That's forcing the government - through its proxy RBI - to shore up the rupee. Nearly $30 billion has been spent in this effort. It hasn't worked. The rupee has slid 14 per cent this year and by most accounts it could depreciate further. Particularly, if crude prices continue to rise. On the other hand, India's rapid-fire attempts to stem the fast depreciating rupee through 5 rounds of higher import tariffs and anti-dumping restrictions since the beginning of this year also don't seem to have delivered. India continues to deplete its forex reserves as imports have far surpassed exports. Another round is in the works for electronics and metal ores. But will any of this bear fruit? Unlikely. One of the reasons why the slide of the Rupee is uncontrollable is because we may be barking up the wrong tree. Most efforts to control the slide are aimed at the managing the outflow of dollars rather an increasing the inflow of dollars. That's a mistake. Remember, rupee-dollar rate is a function of demand and supply in the forex market. The higher the demand for dollar, the weaker will be the rupee-and vice versa. Currently, the demand for dollar is over 40 per cent higher than last fiscal due to raging international crude prices. India imports 82 per cent of its crude requirement and may run up a bill of nearly $110 billion this year against $87.7 billion last year. So how do we prevent the slide? In its wisdom, the government's efforts have been largely aimed at controlling dollar outflow by imposing higher customs duties to curb demand and consumption on products ranging from steel and aluminium to consumer products such as washing machines, refrigerators and shoes. That can't be the primary strategy. But for the moment, it is. Instead, India needs to channelise all it energies on earning more dollars rather than preventing dollars from leaving our shores. Focusing on the latter is like fighting a losing battle. Even the areas where we have moved to increase dollar inflows are misguided. They're focusing on temporary inflows such as external borrowings. Removal of withholding tax on Masala bonds, relaxation for foreign portfolio investments and allowing Indian oil firms to raise resources abroad are only short term, temporary measures as resources raised abroad will need to be returned (with higher interest rates) over a period of time. Instead, the target should be raising permanent inflows such as foreign direct investment, merchandise exports and IT/ITeS exports. This is where India's strategists appear clueless. Exports are not growing. Instead, India's merchandise export earning has taken a 7 year pause-total Dollar exports in 2012-13 at $305 billion were higher than 2017-18's $303 billion. India has made several attempts at promoting textile exports, for instance, but the policy's focus was greater on job creation and make in India, rather than exports. Here's what India can focus on: India retains a special place in the world in precious and semi-precious stones exports and gold, gems and jewellery exports. However, export earnings have fallen $27 billion in 2013-14 to $25.9 billion in 2017-18 for stones and have practically stagnated at $12-13 billion in gold, gems and jewellery. This needs a special push. India's pharma exports have also fallen from $13.2 billion in 2014-15 to $12.8 billion in 2017-18. India needs to find its mojo back in pharma. Perhaps government to government push just as China does to promote its businesses. Indian textile makers are struggling on the global front due to competition from countries such as Sri Lanka and African nations that can export duty-free to the US and Europe. Our textile exports have fallen from over $9 billion 7 years ago to $8.5 billion now. India needs to find new markets and new strategies to compete. Last, but not the least, India needs to incentivise the only industry that is the silver lining in exports-automobiles and cars. Exports have grown from $6 billion 5 years ago to over $8.5 billion but continue to perform below potential considering the scale and size of India's automobile industry as well as global demand. Not to mention the IT/ITeS exports which have risen not necessarily because of the government, but despite the government. In an increasingly protectionist environment across the world, the challenge will be to find markets for our goods when the world is raising tariffs across the board. But if we can't do that, controlling imports will remain a failed strategy.